January 20, 2009, Phoenix, AZ. 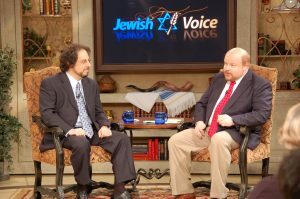 Kevin appeared as a guest on Jewish Voice Today with Jonathan Bernis to give his testimony about how he came to faith in Yeshua, and to talk about discipleship and daily devotion to God. Filmed before a live studio audience, the show originally aired the week of February 22, 2009.